Pancakes - it's what's for dinner. Syrup - it's what's in the cow. Breakfast for dinner works anyday in my book! My kids wish we'd have breakfast for dinner every night. Looks yummy! 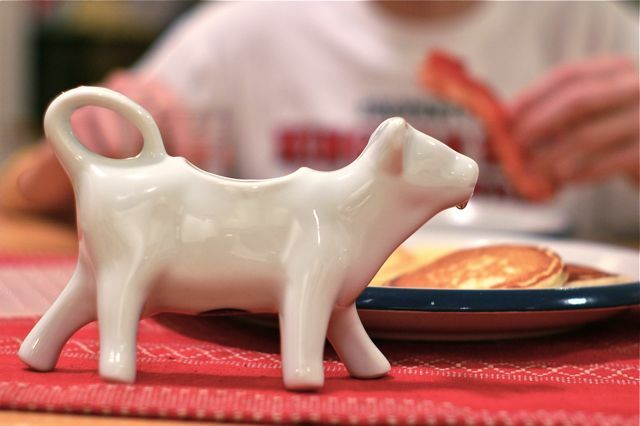 i love the tiny drip of syrup from the cow's mouth.